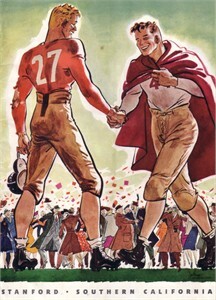 Original complete game program and ticket stub set from the Oct. 22 1938 Southern Cal at Stanford college football game at Stanford Stadium. 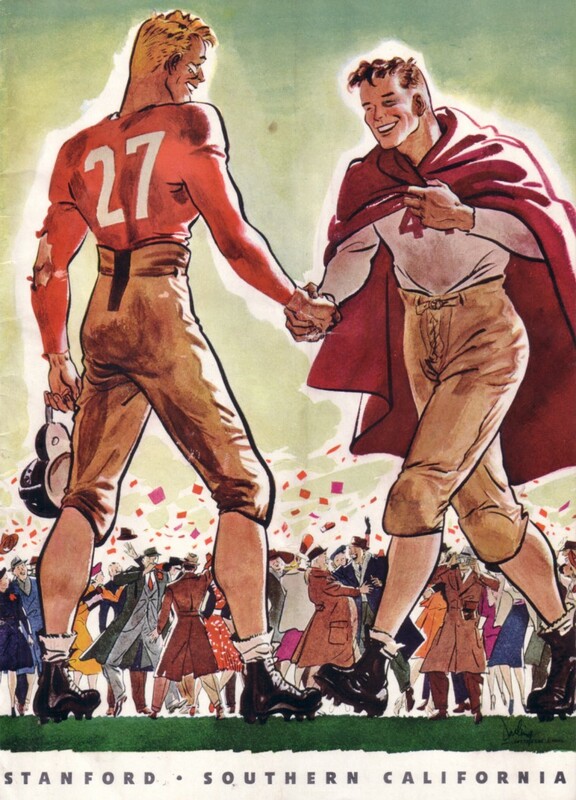 USC, coached by the legendary Howard H. Jones, won this game 13-2 en route to a 9-2 final record including the Pacific Coast Conference Co-Championship and a victory in the Rose Bowl. Back of both program and ticket stub have paste residue. 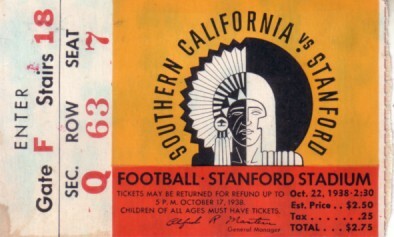 The program has moderate creases and some inner pages have become detached from the staples; the ticket stub has light blue haze on the left side but is completely free of creases, holes, marks or writing. ONLY ONE SET AVAILABLE FOR SALE.